Feel the power of praying together with thousands of people! 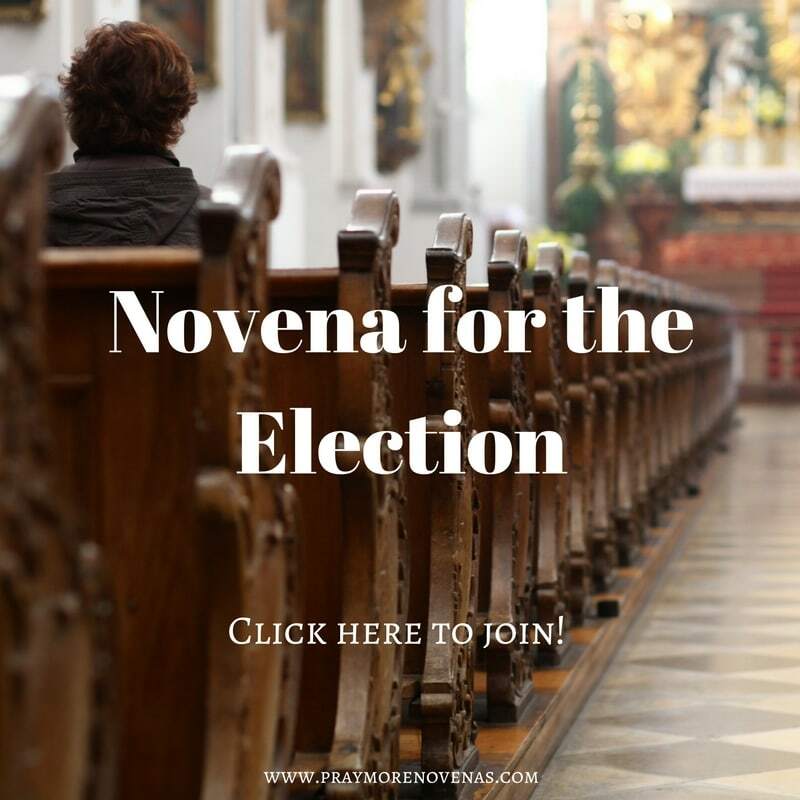 Please join me and thousands of others in praying this special Election Novena featuring some important saints. You can certainly pray for your personal intentions as well during this powerful novena. Nothing can overcome your greatness. But we are weak and need a deeper gift of hope as we face worldly governments. Help us remember that political power can never replace the mission of the Church to preach the Gospel to all nations. Lord, we give you permission to form our consciences according to the Gospel so that we may both vote and act for the Kingdom of God. As we wrestle with the complexity of political life, never let us forget the poor, the weak, the unborn, the refugee, the migrant, all those affected by war, those struggling financially and all those suffering from the failings of the political systems of this world. Give us the courage to always be detached from our political loyalties and be first a faithful follower of Jesus, the true King. And when it comes time for us to contribute to the political realm help us to cast our vote in a way that is pleasing to You. For these elections in our nations, O God, please bless us with the best rulers possible, in this fallen world, at all levels of government. Finally, just as You brought our salvation from the horrible death of Your Son, we pray that from the political campaigns of this world, You will bring about great good for Your people. Click here to find more novenas like this one. Sign up here to pray more novenas with thousands of faithful people from around the world!